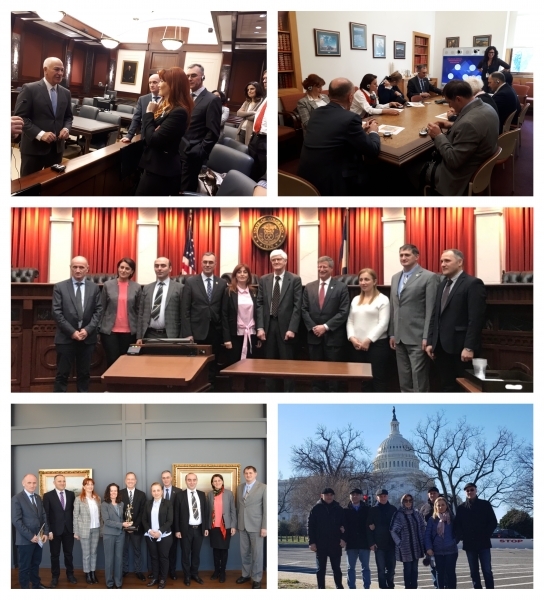 From March 16 to 28, eight civil and administrative judges from Tbilisi and Kutaisi appeal courts traveled to Washington, D.C. and Denver, Colorado for a study tour of the U.S. judicial system. 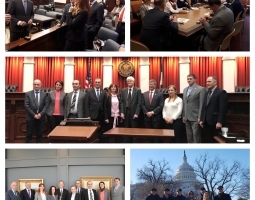 The objective of the study tour was to introduce Georgian judges to some of the best U.S. practices related to courtroom management and communication, case management, appointment and disciplinary responsibility of judges and bench/bar relations. The official part of the visit started in Washington DC at the Federal Judicial Center (FJC). Directors of the FJC gave judges an overview of the U.S. federal court system and relevant U.S. practices. The judges spent the following day at the U.S. federal court for the Eastern District of Virginia. Judge Anthony J. Trenga gave an overview of civil court proceedings and explained the procedures for appointment and impeachment of federal judges. The judges then observed a court hearing, with Judge Trenga presiding. During the Denver portion of the study tour, the participants visited several courts, including the United States District Court for the District of Colorado, the Colorado Court of Appeals and the Colorado Supreme Court. The judges observed court hearings and discussed various aspects of court operations with their American colleagues. Topics discussed included the appointment of state court judges and the mechanism of liability for judicial misconduct, as well as outreach activities of the courts to maintain public trust and confidence. The judges also visited the Colorado and Denver Bar Associations offices in Denver, where they were given an overview of admission of lawyers to the bar; bench/bar relations; and alternative dispute resolution, including settlement, mediation and arbitration. On the concluding day of the visit, participants attended hearings at the Colorado State Juvenile and Drug courts. Within the framework of its expanded judicial exchange activities, USAID/PROLoG has already brought 38 Georgian judges and one judicial assistant to the U.S., and has also brought three U.S. judges to Georgia to work with civil and administrative judges. Exchanges include study visits for Georgian judges; targeted placements of Georgian judges in U.S. courts; trainings at U.S. judicial training centers; and multi-week placements of U.S. judges in Georgian courts.